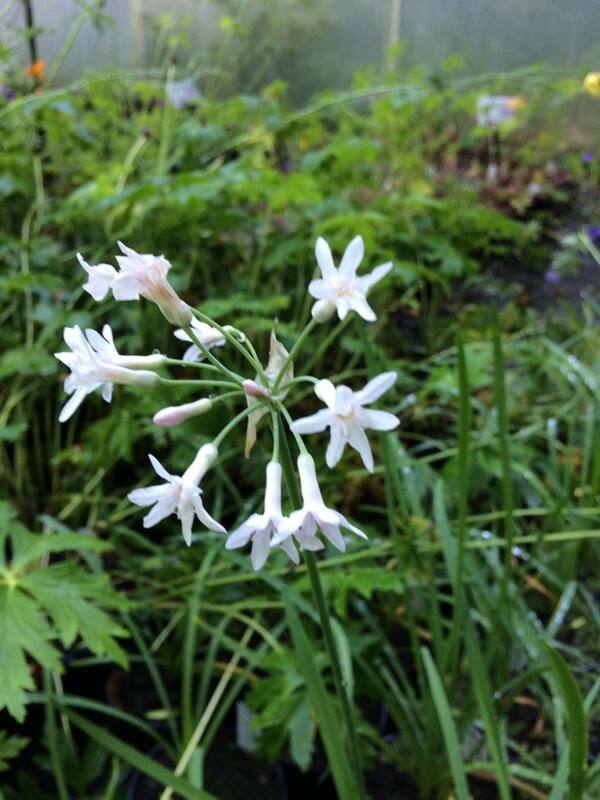 The unusual and rarer white flowered form of Society Garlic, requiring a well drained but moist soil to grow well. Both the flowers and the foliage are scented. A native of South Africa, which excels as a waterside or bog plant. Umbels of pure white flowers are held on short stems above tufted green foliage, which is onion-like. Organically grown in peat free compost. Pot size 1L. Hardiness rating H4. Propagate from seed or careful division of the rhizome in spring. Mulch heavily to protect the crown in cold winters. Generally trouble free. See additional info. tab for plant summary.